Showbie portfolios are sorted chronologically according to the date the work was added to the portfolio. 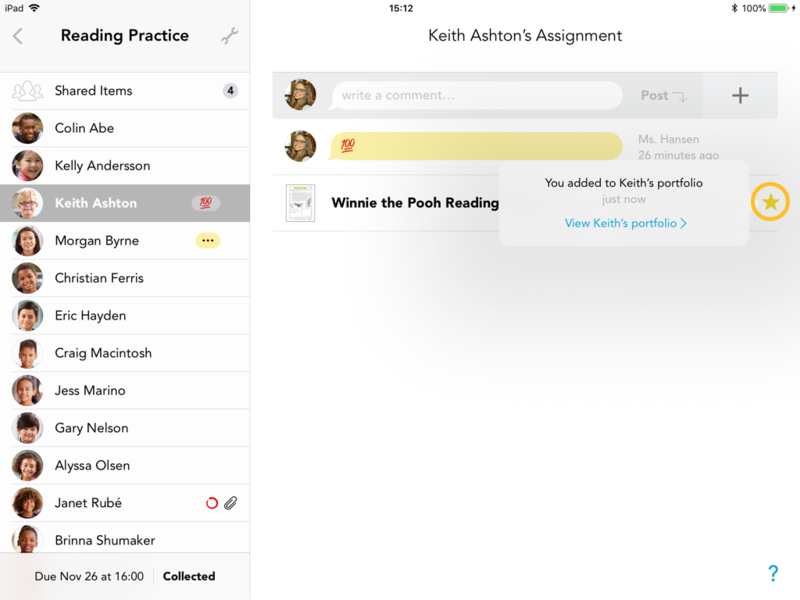 Teachers will only be able to see students’ work if it is from a class they teach. While in an assignment folder, you can also tap on the star icon to View Portfolio.